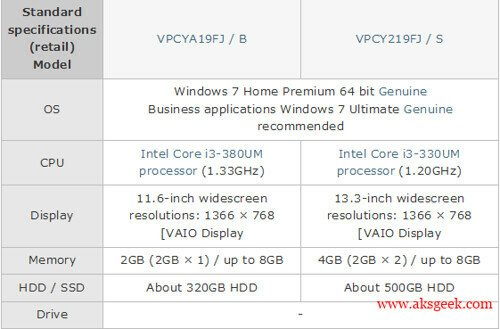 Sony Vaio Y Series shrinks to 13.3 to 11.6 inches with the new VPCYA19FJ/B model but that doesn’t mean, it lacks in resolution. It is well equipped with 11.6-inch WXGA widescreen LCD, weighs 1.46kg. 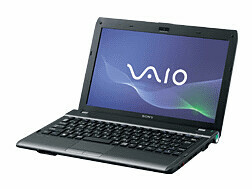 It has CoreTM i3-380UM Processor, 320GB hard disk and 2 GB memory . In addition, a small and lightweight a maximum of about six hours of battery supplied with the optional L-battery can be a maximum of about 11.5 hours of battery life, handy for use on the go.